I am a LPC with fifteen years experience in the mental health field. I value making clients feel comfortable and safe while in treatment. Opening up about your insecurities and challenges can be difficult. I provide a non-judgmental, warm, and genuine atmosphere. My passion is helping people who are struggling with everyday problems around relationships, work, school and any type of stress or those that have more deep-rooted issues stemming from childhood or a traumatic event. I help people develop a stronger and content sense of self. I grew up in New Jersey and after taking a Child Psychology my second year of college I knew I had found my life's calling. I obtained my Bachelor's in Psychology from Rutgers University in NJ with a minor in Social Work. I later completed my Masters in Counseling from Montclair State University in NJ. 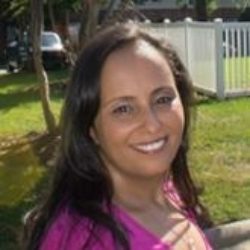 I became an LPC in New Jersey and moved to North Carolina in 2016 and became a LPC here as well . I have extensive experience working with children, adolescents, and their families as well as individuals and couples. During my work experience, I was exposed to counseling many different cultures and socioeconomic status levels therefore I bring cultural and socioeconomic sensitivity to my clients. My approach is warm, genuine, and non-judgmental and I strive to allow clients in feeling safe during the therapeutic journey. I use different treatment modalities as best suited to each individual client. I believe everyone should have access to a competent and professional counselor who can meet them where they are at. I have experience working with different types of families as well as different ethnicities and religions. I establish a rapport with clients to help build a foundation for the therapeutic process. I firmly believe that people can change if they have enough motivation, support, and structure to understand the emotions, thoughts, behaviors, and beliefs which influence their interpersonal dynamics. I am passionate about helping children, adults, couples, and families navigate their journey toward healing and wholeness. Having low self-esteem can keep you from achieving any goals you set for yourself. It can also hinder you from enjoying your life. Through our work together, I will help you build confidence to achieve your best life. Life can be complex, and when dealing with depression you may find yourself among severe emotional pain with no light at the end of the tunnel. The suffering you are experiencing is very real. I can help you work through the depressive feelings in order to find joy in life. If you ever had the feeling you were not good enough for your family, I can help you address the negative feelings that are occurring within you. Overcoming the feelings of rejection you experienced as a child can be a hurtful journey but I will guide every step of the way until you no longer feel rejected. If you ever had the feeling you were not good enough for your family, I can help you address the negative feelings that are occurring within you.